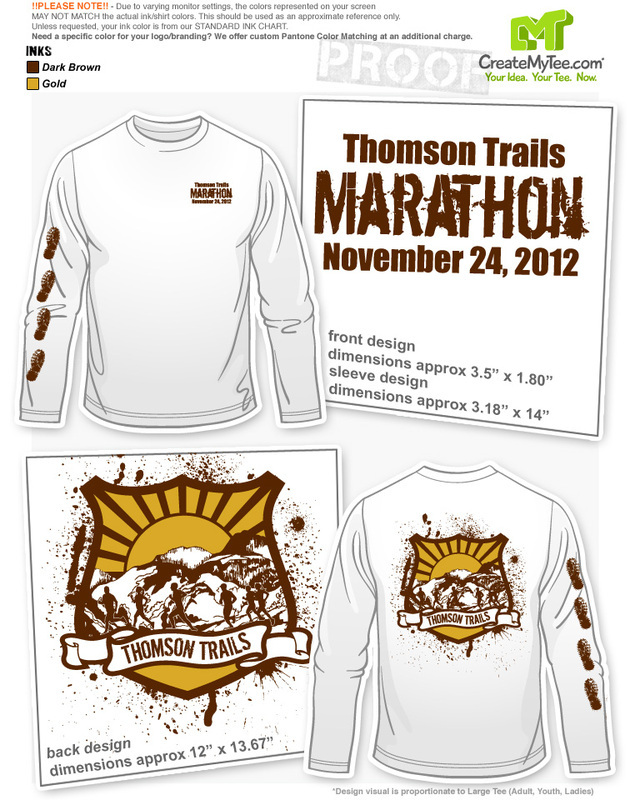 L H Thomson is a short multi-loop course that will give you some of all types of a cross country course. It has hills, both up and down, roots, flat areas and lots of curves. We will have the course marked with bright colors so that you will not get confused at cross points along the course. Shirts: I am working on getting some long sleeve cotton t-shirts made up with a nice logo on them. As soon as I am able to get one that I like, I will post a picture for everyone to see. Medals: all finishers will receive a finishers medal. We will have an assortment of goodies from home made desserts, salty snacks and the famous chicken soup.